Las Vegas, Oct. 13 – Tonight, the nation gathers to watch the Democratic Presidential Debate take place at the Wynn Hotel and Casino in Las Vegas. While the focus is on the candidates, there is another deserving of a share of the spotlight. 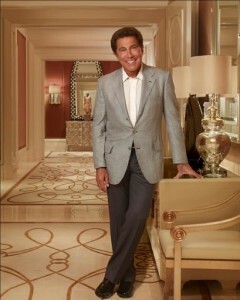 That person is none other than the Wynn’s owner, Steve Wynn. Wynn’s name is synonymous with glittering and opulent towers, high stakes, and business success. What you may not know about him is that he also happens to be a person with a disability. Wynn, age 71, is vision impaired because of retinitis pigmentosa. Like others with this condition, Mr. Wynn’s peripheral vision has been impacted and with it, his interactions with the world around him. While you won’t find much about it on Wikipedia, Wynn has never let his vision differences keep him from reshaping the world around him. His name, his image, and his success have had a huge impact on the world of casinos and the hospitality industry. Wynn may not talk about his differences very often, but he and other people with disabilities who are leaders in business are critical to opening the nation’s eyes to the incredible talents of people with disabilities. For example, Virgin Airways founder Sir Richard Branson and finance wizard Charles Schwab are dyslexic. Scientist Stephen Hawking, like Gov. Greg Abbott of Texas, and President Franklin D. Roosevelt before them, are wheelchair users. As study after study has shown, the one in five Americans who have disabilities want the chance to pursue the American Dream, just like anyone else. Leading up to the debate earlier today, Wynn was seen walking through the press area with three security team members. As the spotlight shines in a place that Wynn built, the Democratic candidates have a unique opportunity to talk about more opportunities for people with disabilities. What I am about to say you probably herd many times befor. What I am about to say is the truth i have arthritis and seizures. I always wanted to get a business started of my own. When I told people what I wanted to do they turn around and say don’t do that. People will also say don’t do that don’t say that. They have never been nice to meet threw out my whole life. When I saw that you help out people with disabilities I thought that was great. I wanted to make the casino owners more money but don’t know who to talk to i was going to tell them that I am moving over to dublin ireland. I was going to open up a bookmakers operation. I thought if they bought it is will run it what ever needs fixing it comes out of my pocket knot yours. They will get 50% and I will get 50% . Once again I really would like to aye thank you for helping out people with disabilities.